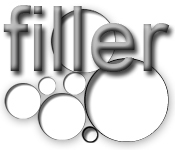 Fill the screen with filler balls while avoiding the bouncing balls in this voluminous arcade game!Fill your day with fun!Fill the screen with filler balls while avoiding the bouncing balls in this voluminous arcade game! 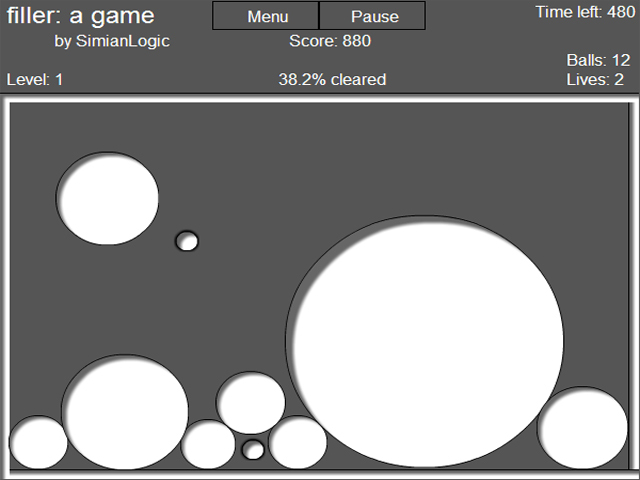 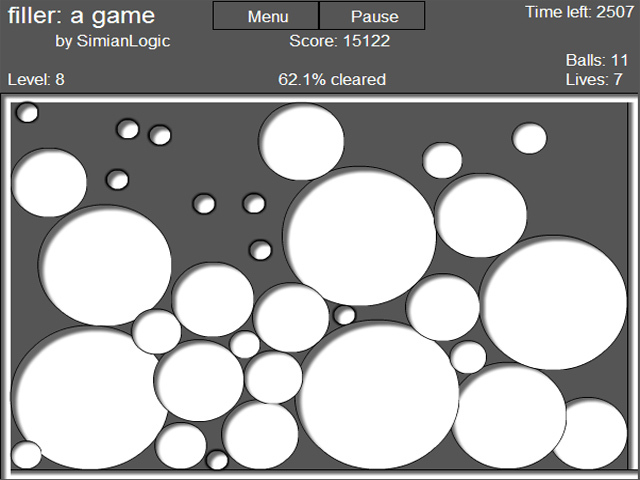 Bouncing balls will burst your bubbles so be careful, you only have so many filler balls to spare. 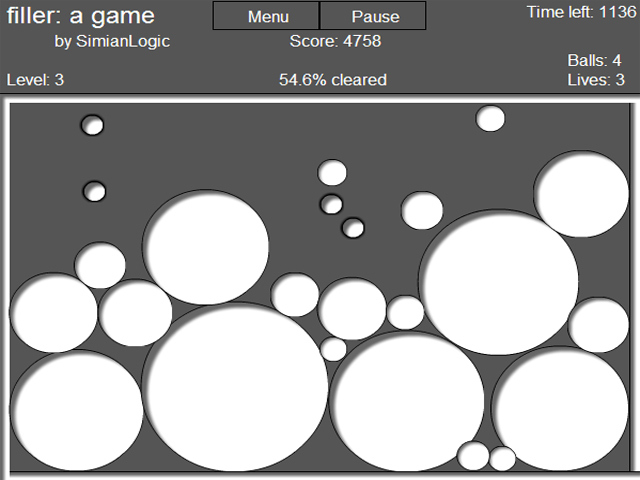 Each new level introduces more devious bouncing balls; how many levels can you fill with fun?